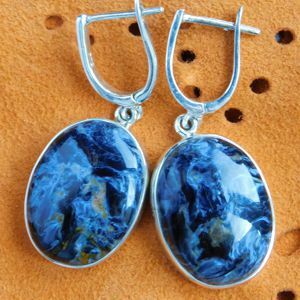 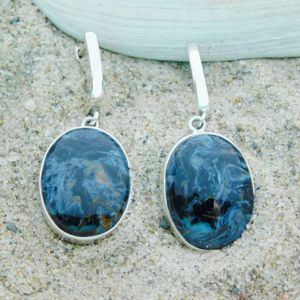 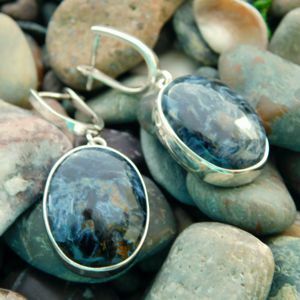 I created this pair of earrings around 2 beautiful Pietersite gemstones. 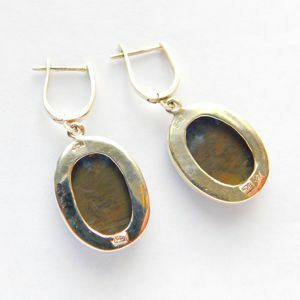 The oval-shaped gems measure 20 x 15 mm. 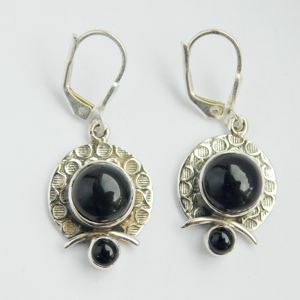 The measurement of the 925 Sterling Silver earrings is 44 x 16 mm. 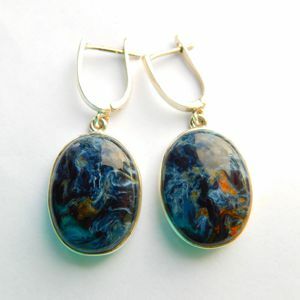 Pietersite is a variety of Chalcedony and belongs to the Quartz family. 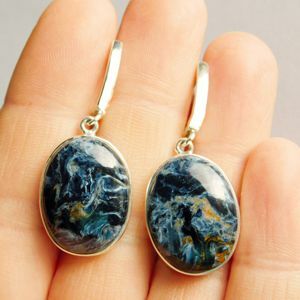 Just like Tigers Eye, Hawk’s Eye and Jasper, it is characterized by an incredible chatoyancy (cat’s eye effect) and brilliance of life within the stone. 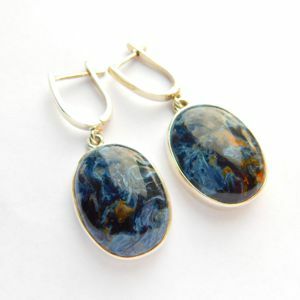 It’s dominant gold hues are contrasted with deep blue-black, grey and brown, as well as occasional clear areas. 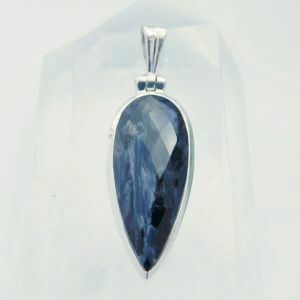 Known as the Tempest Stone, it is a powerful protection stone, especially against the elements. 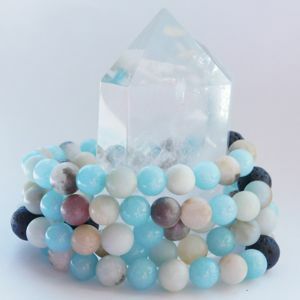 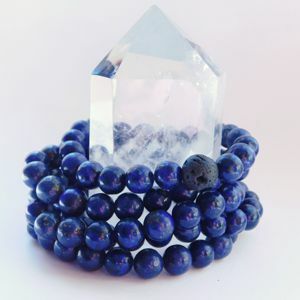 It brings cleansing energy to aid you to create change and helps you to let go of unwanted habits and negative ways of living your life.